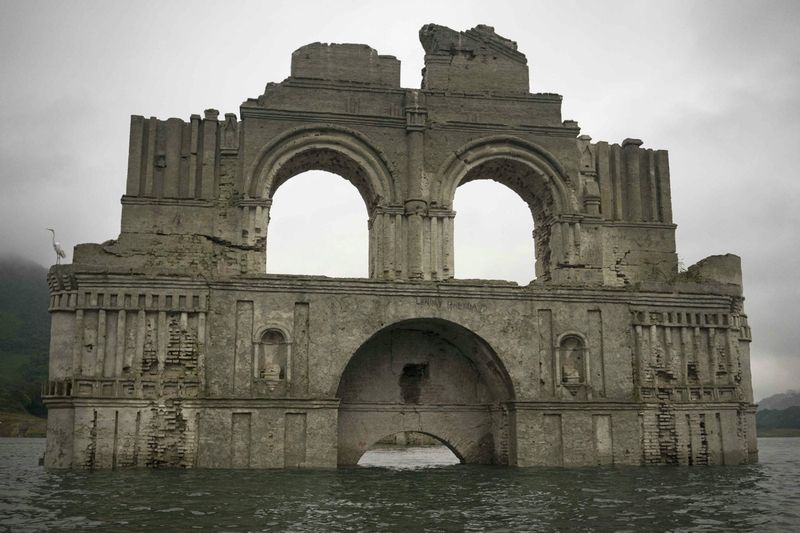 The ruins of a beautiful 16th century church have emerged from the depths of a Mexican reservoir for the second time in 13 years as a result of drought. 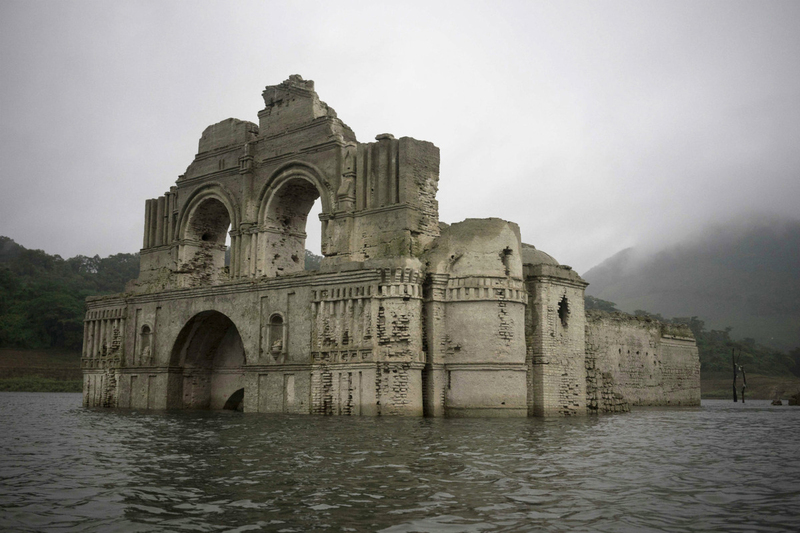 The water level of the Nezahualcóyotl reservoir in Chiapas is said to have fallen by around 25 metres, enough to reveal the usually submerged remains of the Temple of Santiago, or Temple of Quechula, a place of worship that was originally lost to the waters in 1966 when the nearby dam was constructed and the reservoir flooded. 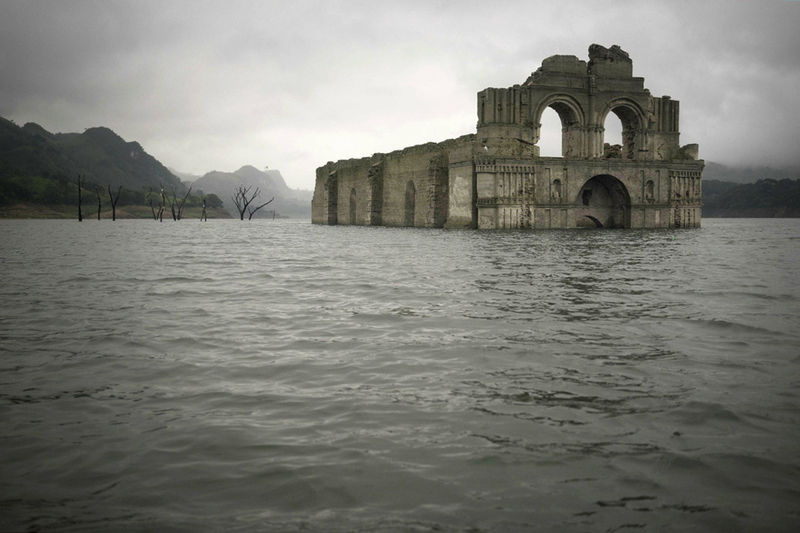 The first time the church was revealed, in 2002, the reservoir’s water level had receded so much that people were able to explore the inside of the church. Today, with the water level that much higher, local fishermen are giving curious passengers a closer look by ferrying them around the ruins. Photos courtesy of David von Blohn.